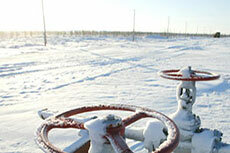 Growth is no longer the dominant theme or key concern for the Asian oil and gas industry. Indeed, as the region’s energy demand continues to grow, security issues and political stability have risen to the fore as competition for scarce resources intensifies among its numerous players. Citing the rising prospects of conflict, the US has announced its policy to ‘pivot’ towards Asia, with a pledge to commit 60% of its naval forces to the region, as well as expand its military presence in Australia. China has reacted with suspicion, concerned that external forces might exploit the challenges brought on by the once-in-a-decade transition of its top leadership later this year amid slowing economic growth and rising domestic social tensions. India is at risk of seeing its economic miracle slide to a halt if it is unable to solve its energy crisis and rein in its rising oil subsidies and import bills. Japan must avoid further costly political confrontations with China, South Korea and Russia to rebuild the economy still reeling from the April 2011 earthquake-tsunami tragedy, which has effectively taken out its vital nuclear energy sector. Once a source of pride and hope for investors seeking growth, Asia’s expanding energy demand has become a major policy headache for planners at home and abroad. The region’s insatiable appetite for oil, gas and other natural resources has led its key players to compete for resources in the region and the world, inevitably raising tensions among themselves and host countries. According to BP, Asian oil demand grew 2.7% last year, more than offsetting the decline in oil use in Europe and the US to boost total world consumption to a new high of over 88 million bpd. Despite the global economic slowdown, world demand remains on course to surge to a new high of 90 million bpd in 2013, thanks largely to the growth in Asia, the Middle East and Africa. Having overtaken North America as the world’s largest regional oil markets in 2007, Asian consumption exceeded 28.3 million bpd last year to account for just under a third of global market share, up from 27.6% a decade ago. In contrast, North America’s share fell to just over 26% last year, down from over 30% in 2001, while Europe’s slipped from 25.4% to 21.5% over the same period, according to BP’s Statistical Review of World Energy. Similar to oil, the region’s natural gas consumption has also nearly doubled over the last decade, from around 29.8 billion ft3/d to 57.1 billion ft3/d. At the same time, its production and reserves growth have lagged far behind consumption. Asia’s gas production has risen by an annual rate of 5.4% from 27.3 billion ft3/d in 2001 to 46.4 billion ft3/d in 2011, while its gas reserves have expanded by an even slower annual rate of 2.52% from 462 trillion ft3 to 592.5 trillion ft3. Asia’s energy deficit looks set to continue rising into the future as its demand grows at the same time that depletion of existing oil and gas fields accelerates, and new fields become harder and more costly to find and develop. According to ExxonMobil’s most recent Energy Outlook report, Asia’s total energy demand will grow at an average rate of 1.3% from 2010 to 2040, lifting its share in the global market from 39% to 43%. China is already the world’s largest energy consumer, with a 19% share in 2010 compared with the US’s 18%. By 2025, China’s share will rise to 21% with the US dropping to 15%, while India’s share will rise from 5% in 2010 to 7% in 2025. Asia’s search for energy security is exposing it to greater risk of conflicts in its own backyard as well as abroad. In recent months, old disputes have erupted over the ownership of potentially oil-rich areas in the waters off China, Japan, Russia and Southeast Asia. In July, the 10 member Association of Southeast Asian Nations (ASEAN) experienced one of its biggest political setbacks when its foreign ministers meeting in Phnom Penh failed to agree on a common stance to settle territorial disputes in the South China Sea. This was the first time in its 45 year history that the foreign ministers of the group comprising Brunei, Cambodia, Indonesia, Laos, Malaysia, Myanmar, Philippines, Singapore, Thailand and Vietnam had failed to issue a joint statement on an issue of critical importance. The ministers negotiated for days to create a binding code of conduct to guide China and ASEAN members Brunei, Malaysia, Philippines and Vietnam in resolving their claims over most of the South China Sea that is thought to hold large amounts of oil and gas resources. Estimates have ranged widely from as little as 10 billion bbls to over 213 billion bbls of high quality light crude oil, and as much as 133 trillion ft3 of natural gas. The meeting failed when the Philippines insisted that ASEAN address the April stand-off between its warships and Chinese ships in the South China Sea’s Scarborough Shoal and Vietnam demanded that all parties respect the area’s exclusive economic zone and the continental shelves, while China outright rejected the ASEAN Regional Forum as the platform to discuss the issue. Weeks before the meeting, China dropped a bombshell through state-owned China National Offshore Oil Corp. (CNOOC) issuing a tender inviting international companies to bid for nine oil blocks in an area directly claimed by Vietnam. This was undertaken in response to Vietnam’s earlier decision to award exploration contracts to ExxonMobil, Gazprom, Canada’s Talisman and India’s ONGC in areas also claimed by China. The Philippines also joined in the fray by announcing its own contract awards in July. The US is tacitly backing the two Southeast Asian countries. In April, the US and the Philippines held a joint military exercise. In July, Vietnam’s National Assembly passed a law to include the Spratly and Paracel Islands within its sea borders. In response, China is looking to strengthen its grip in the South China Sea by establishing a military garrison on the Paracel Islands, and building up its military bases on nearby Hainan Island. Relations between the four neighbours of China, Russia, Japan and South Korea are increasingly schizophrenic. While economic ties have strengthened boosting trade in North Asia to new highs, political relations among some of the neighbours have become increasingly tense. Ties between China and Japan are at possibly their lowest point since the Second World War, as they clash over three uninhabited islands in the East China Sea claimed by the Chinese as ‘Diaoyu’ and ‘Senkaku’ by the Japanese. 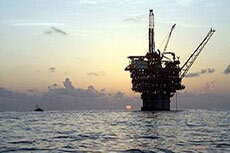 The islands, which could provide a platform for oil and gas exploration, are also being claimed by Taiwan. In the worst display of anti-Japanese sentiments in memory, mobs recently took to the streets in many Chinese cities to attack Japanese products and factories. The embassy was also attacked, strengthening Tokyo’s resolve not to cede to Chinese demands. Japan is also embroiled in territorial disputes with South Korea and Russia. In August, South Korean President Lee Myung-bak provoked an angry Japanese response when he visited the Dokdo Islands or what the Japanese call the Taskeshima Island in the East Sea/Sea of Japan, which are thought to hold large natural gas deposits and fishing stock. South Korea has responded to the region’s growing tensions by accelerating its military build-up, thus adding fuel to Asia’s political tensions and arms race. With Russia, Japan has been trying hard to reclaim ownership of the Kuril Island located north of Hokkaido. In July, Tokyo summoned the Russian ambassador in protest after Russian Prime Minister Dmitry Medvedev set foot on the disputed islands, which are increasingly being fortified by the Russian military. The collapse of the latest Western trade sanctions against Iran since July can be attributed directly to Asia’s continued demand for Iranian oil. While the Iranian economy has indeed suffered greatly from the latest trading, financial, shipping and insurance restrictions, it remains afloat as the bulk of its 1 million bpd of exports continues to flow to five of its biggest customers in Asia. Shortly after sanctions took effect in July, the US had already caved in to lobbying efforts for waivers from 18 countries including China, Singapore, Japan, South Korea and India. But those supply flows could still be disrupted if Israel makes good on its threats to launch pre-emptive strikes on Iranian nuclear facilities that it says are being used for weapons development. Pricing has emerged as a major issue and hurdle in the development of a truly functioning global LNG market at this juncture. The enormous price gaps between the three regional markets of Asia, Europe and North America point to an inefficient and unsustainable market in need of structural reforms. Led by Japan, Asian natural gas importers have begun aggressively pushing producers to de-link the fuel from more expensively-priced oil to cheaper Henry Hub prices in the US. With US prices stuck at 10 year lows of between US$ 2 - 3/million Btu, Asia has been paying between five and seven times more for its natural gas since Japan stepped up its LNG imports to substitute for the loss of its nuclear power plants following the earthquake-tsunami tragedy of April 2011. Traders and futures exchanges are devising derivative contracts to enable buyers to hedge their positions while the growing spot markets, and the emergence of a trading hub in Singapore will help consumers meet short-term needs. Japan, South Korea, Malaysia and China are also looking to launch their own LNG futures trading hub. Asia’s call for reforms has the support of Jonathan Stern of the Oxford Institute for Energy Studies who said the pricing discrepancies between the region, Europe and the US have become ‘illogical’ and that Henry Hub will become more influential over time. Energy and Resources Minister Martin Ferguson said it is important for buyers and sellers to co-operate in a fast-changing market driven by rapid demand growth, technology changes and the emergence of new suppliers. This is an abridged version of the full article from Ng Weng Hoong, which was published in the November 2012 issue of World Pipelines, available for subscribers to download now. Written by Ng Weng Hoong. Russian giant, Gazprom has pledged to invest US$ 38 billion in the development of the eastern Chayanda gasfield and a pipeline to Vladivostok. The latest EIC monthly report shows an upsurge in new projects for Q3 2012 while total potential investment value is up 17% on the last quarter.